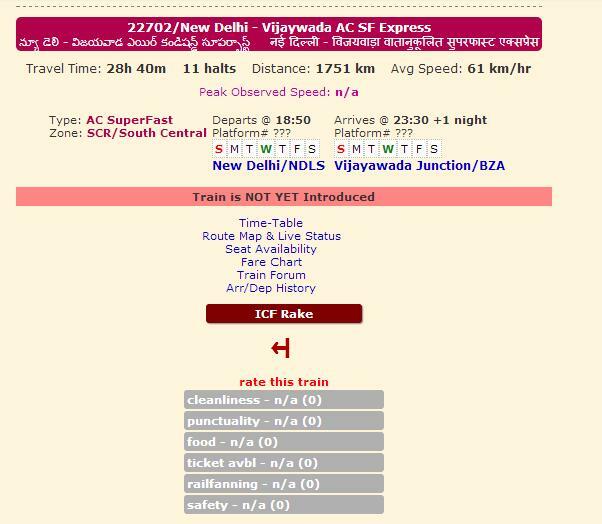 Do you know now we can find out upcoming trains in India list on a single mouse click? Yes it’s possible now, we can now check the To be Introduced trains list with Train No. , Schedule , Expected Travel Time, Stoppage List, Average Speed of the running train. After clicking on the above link you can search for the upcoming trains from various parts of India and different zones like Central, Western, Southern, South Central Rail, Konkan Railways etc. Remember these trains are not yet announced but will introduce on the up coming days. Also if you have interested to find the similar tool like Live Train Running Status Tool then please visit on our blog. Now whats next checkout your favorite locations future trains now and do revert your valuable feedback.